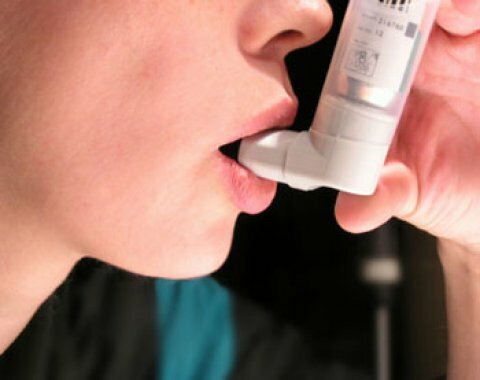 If you have asthma, there's a good chance that an underlying allergy—whether it's to dust mites, pollen, cockroaches, or cat dander—is playing a key role in your breathing problems. (About 60% to 90% of people with asthma have allergic asthma. First and foremost you need to check your environment for allergens; your own pet can be a culprit. Up to 30% of folks suffering from asthma are allergic to dogs and other household pets. If you can’t part with your pet, we advise you to keep him out of your bedroom, bath him once or twice a week and wash hands after petting him. That's where medication comes in. There are anti- allergy drugs available local chemists. Strenuous exercise like running can trigger shortness of breath or other symptoms of wheezing. The physical exertion means faster breathing, usually through the mouth, and that means lots of colder-than-usual air rushes through the lungs. It’s best to limit exposure of your child in case he is prone to allergens. The flu can trigger a severe attack, so be sure your kids over 6 months get their annual vaccination. Parents need to be ‘shot’ smart. Flu shots, anti – allergy vaccinations are very important. Many times perfumes, scented products, including your fragrance and scented candles and cleaning products, as well as cigarette smoke, can set off symptoms of asthma. Weather can play truant for kids. Cold air can trigger constriction, and summer with air pollution, high pollen counts and ozone are common instigators. The only alternative to this is to stay inside. Write to us with your experiences at contact@maabeti.com. Share your comments on this article here.